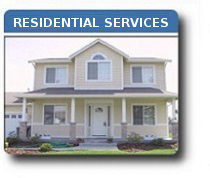 *WE PROVIDE FREE ESTIMATES - CALL NOW! Trenchless Sewer Repair - Repairing your residential sewer with traditional repair usually consisted of a lot of destruction to your property just so the plumber could access the pipes. The good news is today that type of old fashioned repair and destruction is no longer necessary. We now offer a ‘trenchless sewer repair’ solution that requires little to no digging or any property destruction whatsoever. The popularity of trenchless sewer repair has really taken off over the last couple of years, much so it is now our number #1 requested service. Trenchless sewer repair in Denver and surrounding area is our passion, and we do more of it than any other contractor. Sewer Pipe Relining - Here in Denver sewer pipe relining is our most requested service, as our customers simply do not wish to dig up their property. With our trenchless sewer pipe relining we can usually rehabilitate most residential sewers in about a day’s time. In the past, with traditional excavation, the average residential repair could take up to a week to complete. Most of the sewer lining can be done through a clean out, or if your property does not have a clean out then we can have one added for you. When we shoot the resin epoxy saturated liner into the pipe we then insert an air bladder which is inflated with air so that the liner adheres to the interior of your old host pipe. Once we reach this point, we allow the liner to ‘cure in place’ or another word would be to harden this process, which takes approx 4 - 6 hours. Once it is fully cured in place, we then deflate the air bladder and remove it from the host pipe. What is left behind is brand new seamless pipe that is impervious to root penetration, and it actually improves the flow rate of your sewer. Our warranties offered on our liners are vastly superior than brand new pipe. 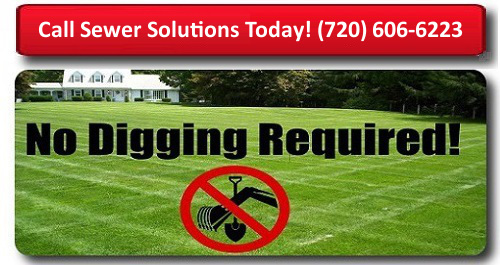 Call us today and let Sewer Solutions provide you with a free estimate on trenchless sewer pipe relining. Sewer Camera Inspections - The best way to fully understand the condition of your sewer pipeline is to do a process we call, sewer camera inspections. Sewer camera inspections is the most thorough way to fully diagnose your sewer line. The sewer video camera’s are small enough to go inside your pipe to take a look at the interior condition of your sewer line. It doesn't matter whether your sewer pipe is clay, cast iron or plastic because our sewer camera’s can inspect them all. 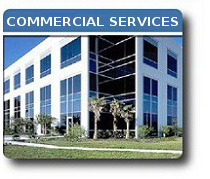 We also record the entire video pipe inspection so you see the area’s of concern yourself. By taking a good look at the condition of your pipe, we can plan a better repair strategy that saves you time and money. With any good sewer camera inspection it allows us to pinpoint your repair. 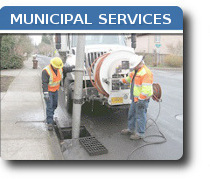 Sewer Hydro Jetting - Many calls we receive are due to sewer pipes that are not draining properly or they may be clogged up with tree roots or debris. In some cases our technicians will recommend a sewer hydro jetting. This is where we blast highly pressurized water into your troubled sewer pipe. At 4,000 psi, this is a great way to remove any blockages or scale buildup on the interior of your sewer pipe. 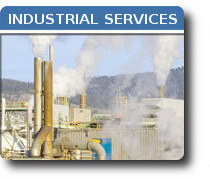 In many cases, our customers will only need to have their sewer pipes cleaned out with our sewer hydro jetting process. Once we blast out all the debris and buildup, your sewer line will be free to flow without back up or slow draining.